Growing up in New England we always had some Anadama bread – cornmeal and molasses. 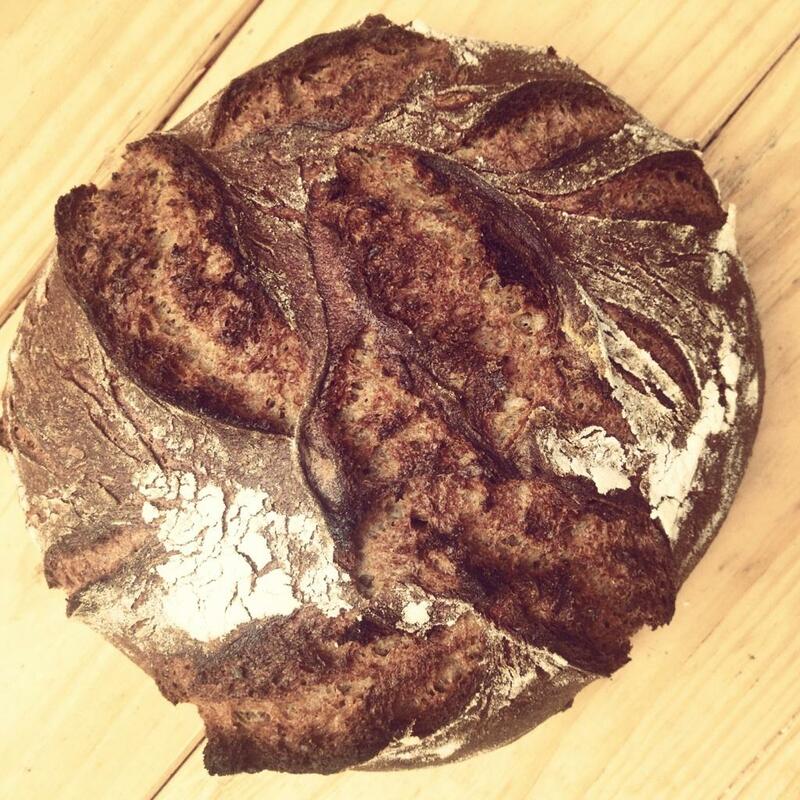 Great bread and a great, possibly apocryphal – story about the name. DO you make thi8s bread? 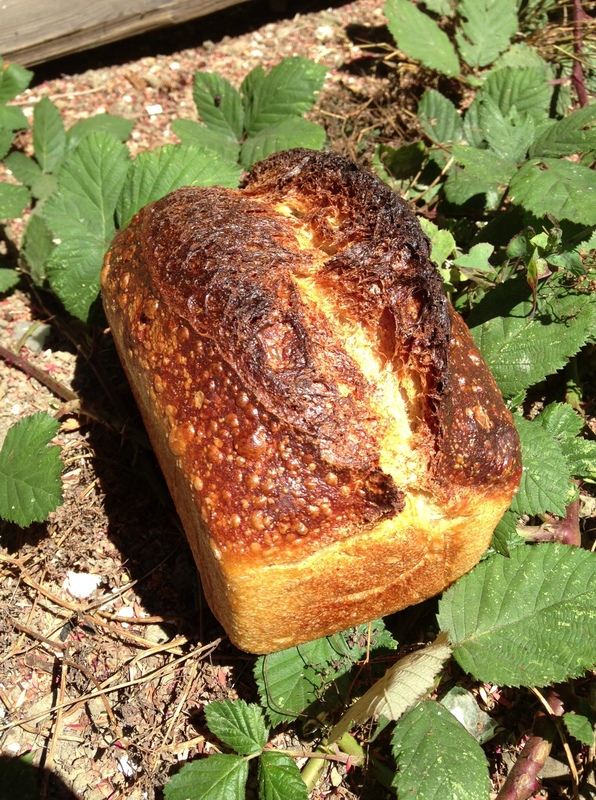 Is your bread sold in San Mateo county? sure do! you can order here and get it delivered. how about that??!? Is your dark mountain rye sold anywhere in Santa Rosa, such as Whole Foods? We’ll be by to pick up some of your whole spelt flour bread in a day or two. We’re travelling (from canada, on vacation) and the only kind of bread I can eat is spelt and I love sourdough spelt! I make it myself when I’m at home. See you soon! yo vickie! nope, don’t need to refrigerate that loaf, or any of our loaves – just keep at room temp in the paper bag it came in. 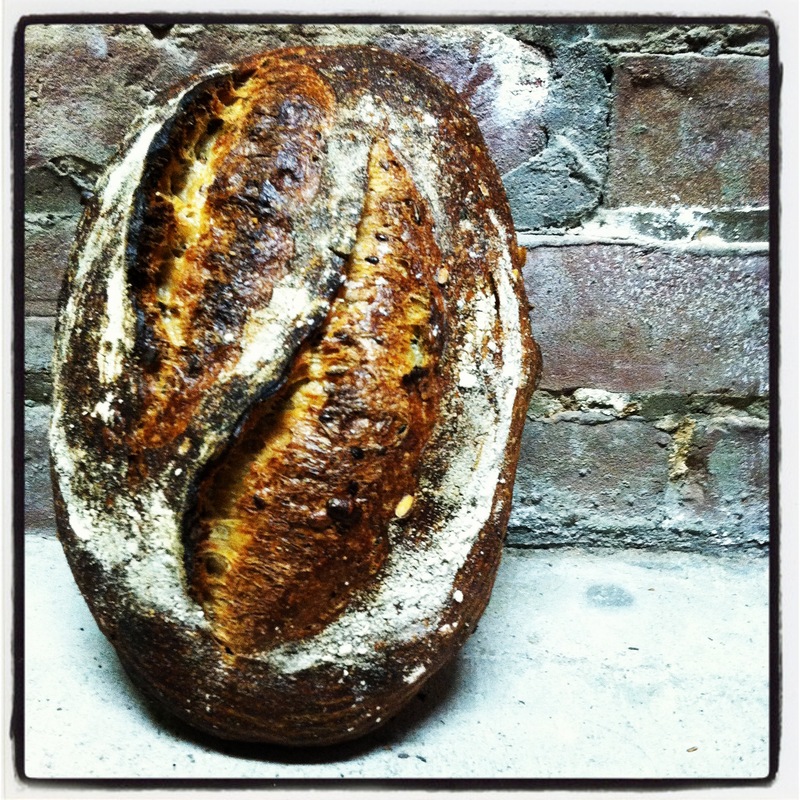 Will be checking out your bread tomorrow (Sat 10/12). 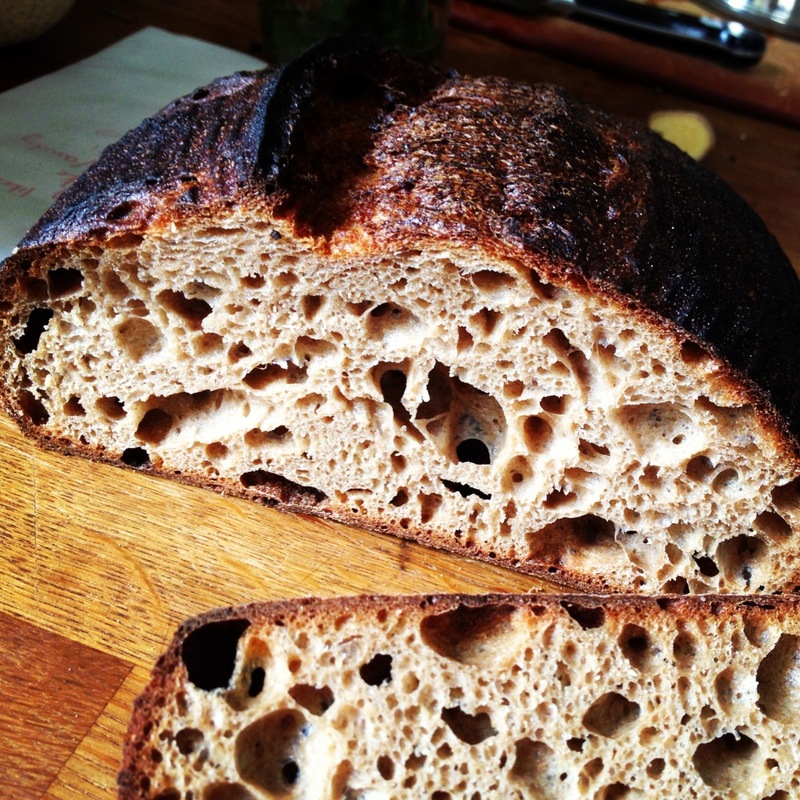 1) Do you use sourdough exclusively or do you also produce yeast breads? 2) Do you produce any “mostly rye” loaves? Your bread looks like the dark bake sour dough bread I used to eat when I lived on Treasure Island back in the late 1960’s. I have been cut off from the best bread on this planet for many years living in Cheyenne, Wyoming. can you deliver it to Cheyenne? sorry kenneth, we don’t deliver our bread! 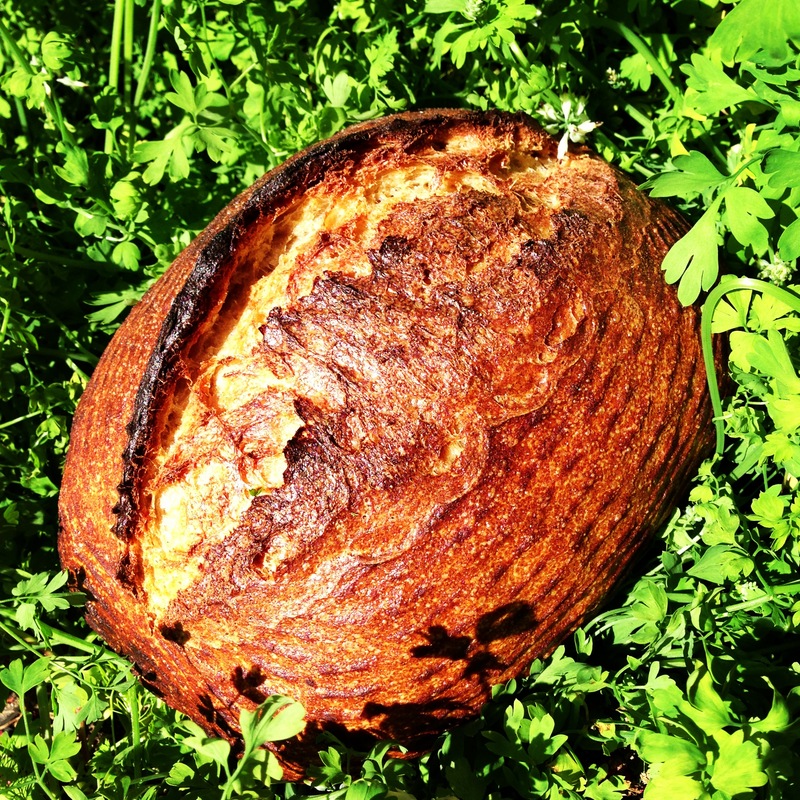 next time you’re in SF, come on by for a loaf. We are working on a GF bread, hold tight! Woohoo! I would love gf bread as well. Awesome to know that! I’m a bread lover, but I had to go gluten free for health reasons. I’ve been to The Mills once before becoming GF and I absolutely love it! Can wait for your GF bread! Thanks!!! Me too! Wow that would make my…YEAR maybe. I still dream about good bread, miss it so much and would walk across coals for a decent GF loaf. it’s true, we are now making adventure bread, which is made with a bunch of seeds and GF oats and… no gluten! we’re making in small quantities and it is going fast, but if ya come on W, F, or Sun morning, we are sure to have some. Yes! Gluten free bread please! I feel like a jerk when I take my Gluten Free girlfriend here and she just sits there and glares at me. I want us to be equals!! Your bread is beautiful! What kind of baskets do you proof it in? Are they the fancy french ones or are they some other kind you have found that works? I have a small farm where we grow produce and raise goats, I bake bread and my wife makes cheese which we sell to some restaurants and at local markets. I only use couches for my bread because I can’t find a place with reasonably priced baskets. Any help you could offer would be much appreciated, thank you! Is there any chance I can procure a loaf for a giant feast on Thursday? Did I miss the window three weeks ago where I submit my name, ssn, and credit card info, to a loaferry drawing? Please say it ain’t so! Just trying to get bread to good people! I’m just curious…is your dark mountain rye made with no wheat? My sister and I have issues with wheat, not gluten 🙂 So if the rye is sans wheat, I totally on that! you betcha, no wheat at all, no ma’am, just fresh milled whole grain rye, sesame, sunflower, corn meal, flax, sourdough culture, sea salt. but just to clear, we mill all of our grains on the same mill, so there is most definitely small amounts of wheat in everything! Do you have nutritional stats run for your breads? 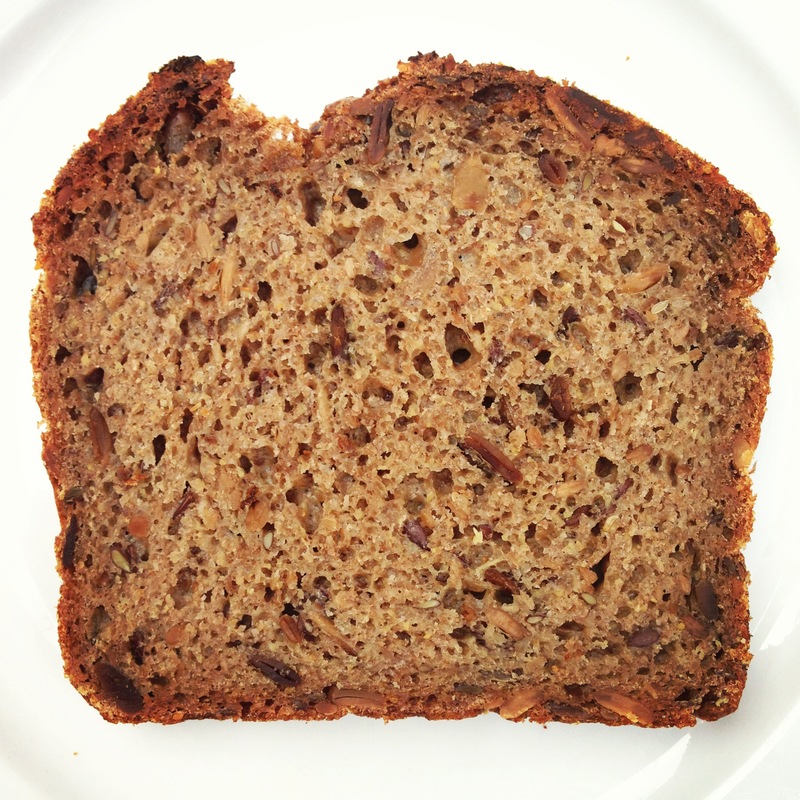 In particular for seeded country — I could eat the whole loaf in one sitting (so good)! I’m trying to be conscious of my calorie, carb, fiber, fat, protein intake so would love to get more info if available. Thx! sorry, we don’t have any nutritional info other than the ingredients! Love your rosemary wheat bread! thanks so much!! we love it too, alas, we can’t make every bread we love every day, and we said good bye that to bread today. fear not, it will come back when the time is right, and we’ve got some more yummy breads to take it’s place, stay tuned. I’m intersted in knowing your ingredients. Are your eggs factory farmed? Do you use GMO’s? What type of wheat do you use? Do you have any bread that has Einkorn wheat for gluten sensitivity? You gnreously donatd you secret for sourdoughbread starter a couple of weeks ago, but your amount differs from what most reecipes call for to use the starter. Can we obtain your basic sour dough bread recipe that you would use with the starter you described in the recent San Francisco Sunday Chronicle? Many thanks (BTW the starter is already in process so we area ancious to put to use in your recipe if not secretive). My wife and I are making an annual trip to the city from Southern California love you but you’re staying by Union Square you have Bakery or restaurant or distributor close by to take bread with us on the plane? Thank you for your reply Josey. I love the toast.